It's week three of my blog-hosted love-fest for the band Ludo, as we count down the weeks in preparation for the release of their new album. I've tried to articulate in my last two posts Ludo's distinctive sound and what makes them so special (not an easy writing task, mind you). They do not limit themselves to one musical style on an album and they have a lot of humor woven into their lyrics, which can be more prominent in some songs than others. What is surprising is how they pull it together and make it all work. Not only can they write a catchy radio single, but they can also write grand sweeping cinematic pieces too, such as the Broken Bride album. 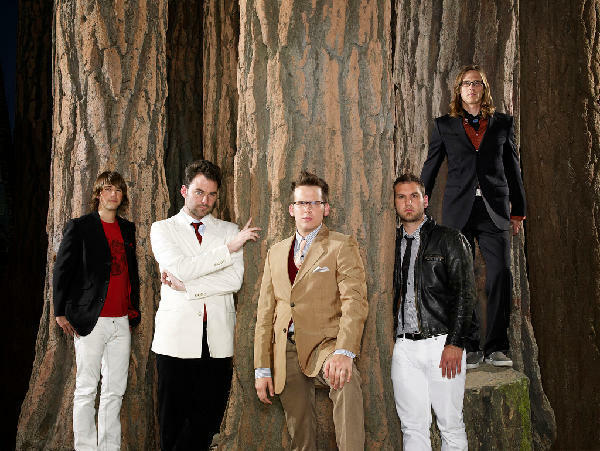 In doing a little research online about the members, I discovered that lead singer Andrew Volpe was a college music composition major and guitarist Tim Ferrell is drawn toward microtonal music and the “notes between the notes of the western scale”. That's some high-falutin' music talk from just a bunch of rock 'n rollers, and it helps me understand how Broken Bride came to be. It's a 30 minute rock opera/concept album of pure genius. It has pop tunes, rock tunes and lush cinematic soundtrack-type music as well, with some wonderful reoccurring themes. There's no question that "Broken Bride" is a rock opera, but the music has more in common with "American Idiot" than similar narrative concept albums by The Who or Meatloaf. It tells the story of a man (The Traveler) who builds a time machine to prevent the death of the woman he loves. The machine malfunctions, sending him back to pre-history and forward to the Rapture. Ultimately, the Traveler must make a choice that will decide whether he saves his wife or all of humanity. When I first read about the concept, I laughed out loud at how ridiculous and overwrought it was. By the last song, I had to keep myself from crying. 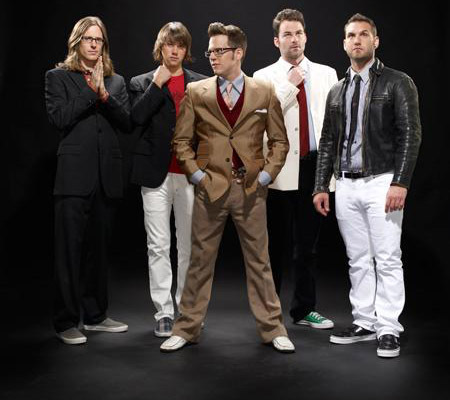 That's not what you'd necessarily expect from Ludo, whose self-titled first release positioned it as a Weezer-ish alternative rock band with a sense of humor. Broken Bride features the same emo-tinged vocals and hook-y rock, but the band evades any attempt at genre categorization in its second outing. In fact, the album's range is wide enough that there may be some moments that are too hard or too soft, depending on how you like your rock. But every genre twist and turn is perfectly executed, lushly produced, and imaginatively composed. It's an easy album to love, and one you'll want to be sure to listen to from beginning to end. So as not to spoil it for you, I've posted the first song from the album below. I couldn't post my favorite song, because then it'd give the whole story away. I hope you like it, and I hope you're intrigued enough to download the whole album and take the journey for yourself. It must have been fate when I heard my first Ludo song. I mean, how could I possibly not like a band who took their name from a character in one of my favorite movies? But that's not the only reason I like them. Ludo is one of the most inventive, entertaining and surprising bands I've come across in quite some time. It's hard to describe their sound or genre. I suppose they would be classified as "alternative" but simply because they do a little bit of everything and can't be pigeonholed into any one genre. They can rock out in one song, have a catchy pop tune the next one, and then blast an almost punk vibe, then switch to a sweet ballad - and that's all on one album. 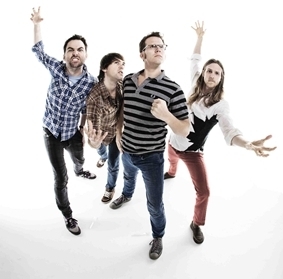 Not only that, but their songs reference such things as pirates, zombies, spacemen, Halloween, time travel, dinosaurs, Star Wars and other geeky stuff, but also have a lot of heart and can be touching and serious. Having said all that, you would assume their music sounds like a messy hodgepodge with no definition or skill. On the contrary... they somehow make it work and, in my humble opinion, it works quite well. Ludo's new album will be released on September 7th and I'm more than a little excited. So I've decided that for the next several weeks, Ludo will be taking over my weekly "Musical Interlude" posts as we prepare the preparations for the new album release date. This is the song and video that started it all for me: "Love Me Dead" off the You're Awful, I Love You album, about a dysfunctional love/hate relationship where you know he/she isn't good for you, but you keep going back for more. I suspect you will have to watch the video more than once, (like I did) just to catch all the fun sight-gags. Enjoy! Like a salt-sore soaked in the sea. You're a faith-healer on T.V. You've got the mark of the beast. You're born of a jackal! My LOST posts are coming to an end... I plan to re-watch the series on Blu-ray and as I do so, it might inspire me to write about it again. But other than that, this will be the last LOST post, at least for a while. I still feel a strange hesitancy to even finish this post. I don't want to be done discussing the show. I don't want the show to be over. Even with three blog posts about the finale, in addition to all the weekly blog posts I did, I still feel like I haven't covered everything I want to talk about. (I guess that's what Lostpedia is for.) 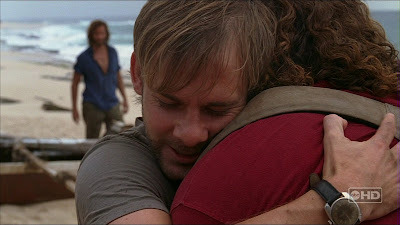 Following my shocking/heartbreaking/funny pattern that I've used for all my LOST blog posts, my first post discussed the most shocking moment of the finale. In the second post, I discussed the most heartbreaking moment of the finale. Which means in this post, I will talk about the funny moment of the finale. As usual with this show, there were several to choose from. Sawyer (to Jack, referring to his talk with Jacob): " Well, Doc, how about you come down off the mountain top and tell us what the hell the burning bush had to say for itself." Sawyer (to Jack, discussing Smokey): "'Cause he ain't got what he needs. I'm guessing that'd be Desmond. That's where we were headed before your inauguration. Sayid said Locke tossed him in a well." Jack: "Jacob didn't say anything to me about Desmond." Sawyer: "Doesn't sound like he said anything about anything." Hurley: "That's kind of true, dude. He's worse than Yoda." Sawyer: "All right, y'all head to your heart of the island and I'll go get the magic leprechaun out of that well." Sawyer (to Kate): "I'd ask you along, but that'd take all the fun out of me telling you that you can't come." Kate: "Uh, I guess I'll just have to resist the urge to follow you anyway." Hurley: "I've got a bad feeling about this." This show had it all: heart, humor, drama, mystery, fantasy/sci-fi, high-caliber acting, amazing set designs and locations, a haunting, heart-wrenching score from Michael Giacchino, superb writing and directing. It was like watching a box office quality feature film every week, albeit only 40 minutes long. It challenged its viewers to rise to the occasion and to actually pay attention and think about what they were watching. It trusted the viewers to follow a large story arc spanning six years. It discussed issues like faith, science, love, forgiveness, redemption, and other topics that most sitcoms or TV dramas usually shy away from. They broke all the rules, introduced new means of storytelling within the television format, and proved that television could be art, and didn't have to pander to the lowest common denominator. There has never been a show quite like this, and I suspect there won't be another one for quite some time. Below I've listed just a few of my many favorite characters or scenes or moments from the entire series. In taking on that task, I discovered it's impossible to list them all, and I'm sure there are some I've forgotten, so please feel free to leave me a comment and let me know which things stick with you the most. 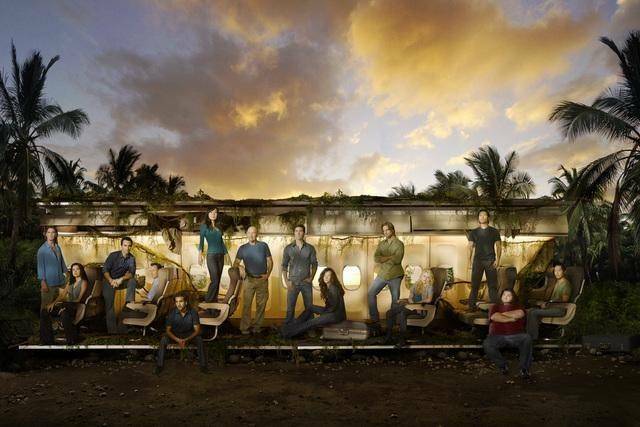 The writers and creators of the show said the relationships between the survivors are what was really at the heart of everything about the show, despite all the mythology and mystery. The finale, with its focus on this group of friends and lovers, reuniting in heaven, solidifies that theme. Ironically, the one thing I will remember most of all about the show, and take with me, is that very same thing: relationships. I will remember, more than anything, the fun I had with my fellow Lostie friends. No doubt about it, it was a fun show, but you all were the ones that made it a blast to watch every week - both my IRL Lostie friends, whom I had viewing parties with every week, to those virtual blog-stalker Lostie friends out there. Thanks for coming along with me for the ride. The pilot episode - when Jack breaks through the jungle vegetation and both he and the viewers are assaulted with sights and sounds of a horrific airplane crash. I was hooked from that very moment. When we found out Locke was wheelchair-bound before the plane crash. Charlie - everything about him, the episode when he kicked his drug habit and the island gave him back his guitar, when Ethan hung him and he almost died, his imaginary peanut butter for Claire, his friendship with Hurley, and of course, his heroic end. To know how you die and to still choose to do it, instead of trying to avoid it...sigh... of course, now we know, it was all for nothing (but I won't get into that here). The moment when Rose and Charlie talk about faith and she starts saying the Lord's prayer for the both of them. The launching of the raft, such a triumphant and hope-filled moment, only to be followed with the horrible moment of Walt being kidnapped. The light turning on in the hatch. After almost two months apart on the island and not knowing if their husband/wife was alive, Rose and Bernard are finally reunited. The episodes with Benry in the box. He said he was Henry Gale. We found out his real name was Ben. Sayid tortured him for information and locked him in the gun safe in the hatch. Benry got inside Locke's head, and freaked us all out. The best scene was when they let him out and Ben was pouring himself some cereal while telling them a terrifying hypothetical "what if" he "really" was a bad guy... then calmly asked them, "You got any milk?" Priceless. Watching the first Dharma Initiative initiation film and Locke saying, "We're going to have to watch that again." Just when I think I can't dislike Michael more than I already do, he kills Libby and Ana Lucia, then leads the other Losties into a trap. Desmond and Locke decide not to type in the numbers and let the hatch clock countdown. Purple haze explosion! Discovering Alcatraz (a.k.a. Hydra island) and the dark mind games played there with Juliet, Sawyer, Jack and Kate. Sawyer finally comes face to face with the man that murdered his parents (who happens to be Locke's dad and a con man) and gets his revenge. Again, extremely well-written and well-acted. 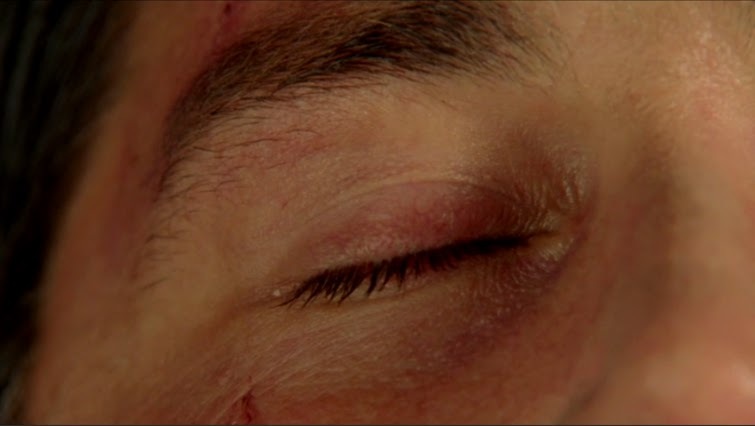 Jack's gamble with Ben on the surgery table, when he begs Kate to go and makes a way for her to escape, even after seeing her and Sawyer on the cameras (you know, the cage scene...). Watch the scene with Jack and Kate on the walkie talkies again... he's so in love with her and trying to protect her, even while his heart is breaking. Talk about sacrificial love. Hurley - everything about him - the golf course, the way he loved and encouraged everyone, how he saved the day by crashing the Dharma van onto the beach, his cannonball into the sea when he thought they were rescued, his good heart, his humor, and every single "dude". In season 3, when what we thought was a flashback of a bearded Jack was actually a flashforward! Hello, shift in storytelling technique! When Ben takes a gamble with the freighter mercenaries and Alex is killed right in front of him. Sun's bloodcurdling scream as the freighter (and supposedly Jin) explodes. The acting between Holloway (Sawyer) and Mitchell (Juliet) during Juliet's death scene. It's John Locke in the coffin! Daniel Faraday and his nerdy mad scientist ways. Rousseau and her crazy jungle lady ways. When we finally got to meet Jacob. As I said in my previous post, there were so many things I wanted to discuss about the LOST finale I couldn't do it in one single blog post. It was a finale that ended six years worth of storyline and obsession; I couldn't possibly relegate all my thoughts and feelings to one blog post. Besides, I'm having trouble letting go (obviously) so any excuse to drag out the discussion, and linger over the magic that was LOST and I'm on it. In my first post, I discussed the most shocking moment of the finale. In this post, I'll discuss what I thought was the most heartbreaking moment of the finale, which was a hard decision since there were so many moments that touched my heart or made my eyes fill up with tears. On the island, Jack stumbles through the bamboo forest, passing the white tennis shoe hanging from a branch, now dirty and weathered after three years of being exposed to the elements. Jack comes to the spot where he first woke up from the crash and collapses to the ground, still clutching at the wound to his side. He lays back down on the ground when he hears a dog bark - it's Vincent. Vincent greets him then lays down beside him, fulfilling the reoccurring theme that if you live together, you won't die alone. Staring up into the sky, a dying Jack witnesses the Ajira plane fly overhead as his friends head home. He smiles, knowing he isn't going to die for nothing. Jack's eye closes. He is gone. The end. The first thing we saw in the first episode. There is a poem called "The Dash" by Linda Ellis that talks about the date of birth and date of death on one's tombstone and how those dates aren't what is important, nor are they anything that anyone will remember, but rather it's the little dash in between the two that holds so much meaning. In some ways, you can look at Jack ending up in the same place he started the show as very depressing. He went through all of that and ended up in the exact same place he started? What was the point? But where he started and where he finally came to an end in this little adventure isn't as important as the time he spent in between those two moments, and I think that's what the LOST writers were trying to get at with the finale. It is not the time spent, but how it was spent: the relationships we had, the moments in which we chose to do something good, something heroic, something selfless, something loving, something forgiving, that truly matter. This is a beautiful truth that we could all do well to remember on a daily basis. Jack could have been on the Oceanic 815, crashed on the island, and died right there in that bamboo grove. Instead, he had an amazing adventure and lived a lifetime in those three years. He loved and was loved, he struggled with his faith, he (eventually) overcame his need-to-fix-things savior complex and his daddy issues, he had some amazing friendships and, oh yeah, he saved the world from evil and destruction. There is something beautiful and compelling about the symmetry of this in the storytelling, coming back to where we started, but being a much different person, informed full of experiences, and that goes for Jack as well as the viewers. It fulfilled the classic story archetype of the "Journey" or the "Voyage and Return" in a satisfying way. And even at the very end, the writers were still challenging the viewers with questions about fate versus faith and free will. 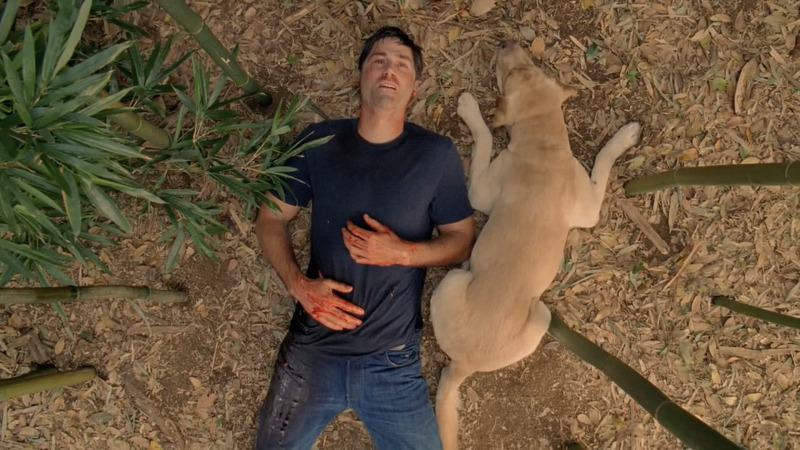 Was it inevitable that Jack would die there, on the island, in the bamboo grove, no matter what he did? The LOST writers continually challenged their audience to engage their gray matter and think about the story and actively participate in understanding it. That's one of the things I appreciated most about this show. The last thing we saw in the last episode. So in those ways, I loved this "real timeline/island" part of the finale as much as I did the "alternate timeline/heaven" part of the finale. However, as I did with the alternate timeline part of the finale, I too had problems with this ending. I understand that the LOST writers said they weren't going to answer every question posed by the story and didn't want to de-mystify all of it, and I like that approach, but I still feel like they didn't give us quite enough to form a satisfying conclusion. I think it's acceptable to leave it up to the viewers to come to their own conclusions about some of the mysteries, but I felt like it needed a more dramatic and definite ending to the major points of the mythology they had introduced. I'm still confused as to what purpose the island served, exactly. What did the magical cork at the bottom of the waterfall have anything to do with anything? Why was it necessary to keep the Light Source "corked" and protected? Why did the Light Source turn the Man in Black evil and how did it turn him into Smokey? Why bother with all the Dharma stuff? Why was Dharma even there to begin with? And why focus so much on the importance of the hatches or Dharma if in the end it didn't factor at all into the big finish? Who was behind Dharma anyway? Was Widmore a secret benefactor behind Dharma? Speaking of which, why did Widmore want so desperately to regain control the island? To use and corrupt the power from the Light source? What was his feud with Ben about? Why was Walt special and did the island enhance those abilities? What was the deal with all the fertility problems on the island? Why was it important that Claire raise Aaron instead of giving him up for adoption? Was he special? What was the deal with Ms. Hawking? Could she time travel? How did she know Desmond was time traveling? Why introduce so many weird and fascinating aspects of the story, such as all the references to Egyptian and other ancient civilizations and mythology, if you're not going to address them or wrap them up in some way? The bottom line is that, despite the nagging questions, the ending still left me an emotional mess. Seeing Jack collapse on the same place where the story started, after fighting the good fight, and in his last moments, with Vincent by his side, having that happy smile come across his face, then closing his eyes... I still get teary-eyed just thinking about it. Rest in peace, faithful hero.